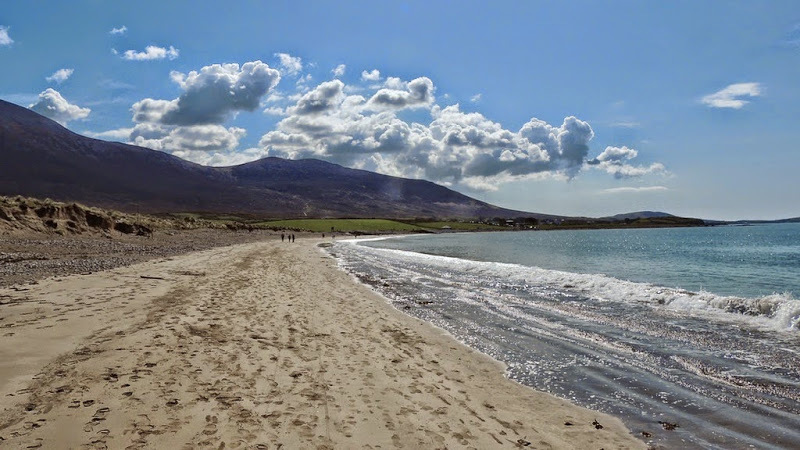 Bertaw Beach Walk, Family Walks in Co. Mayo West of Ireland | mayo-ireland. Bertraw Beach walk, located 12 km from Westport near the little village of Murrisk, is suitable for families, younger children and people of all ages. It is a 4 km short walk around the peninsula and it can be shorten at any stage by crossing the narrow split of the dunes. At low and mid tide the sandy beach is wide and safe for children to play and walk; at high tide the sea will lap up to your feet and boots or wellingtons are recommended. The walk directions are very easy to follow: from the car park walk along the beach circling the peninsula in a clockwise direction and reach Ummeraboy Strand along the Gweemore Channnel. 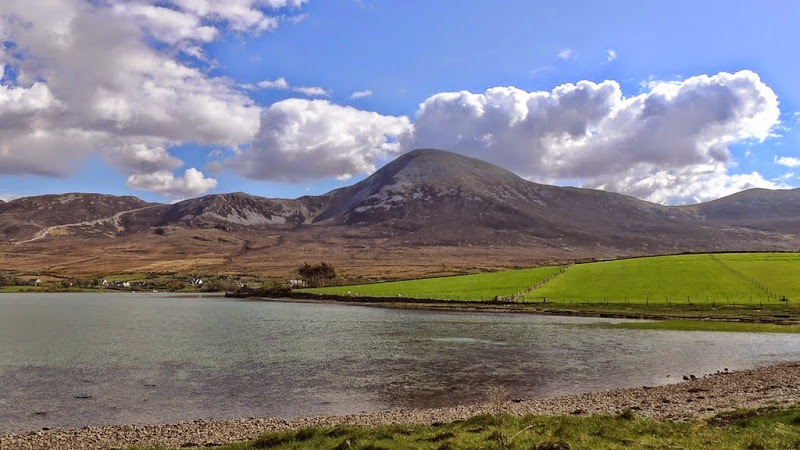 From there you can have spectacular views of Croagh Patrick. If the going is too rough for you and your family, you can cross over the dunes and follow the grassland path. However, because there is a problem with dune erosion try to walk on the beach as much as possible. 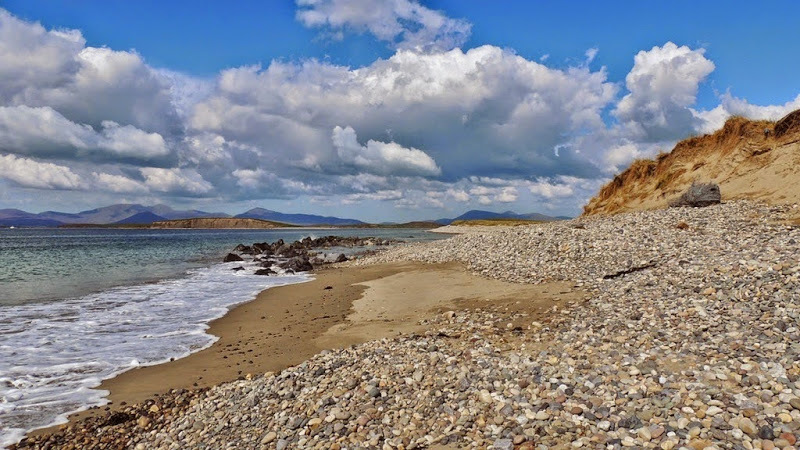 Bertraw Beach, in Irish Barr Tra meaning the head or top of the beach, is a tumble or a narrow neck of land deposited by the sea, forming a link to a previous offshore island. Ummeraboy Srand, in Irish Iomaire Bui, means the yellow ridge referring to what it looks like at low tide, while Gweemore, from Gaoth Mor, means the great wind. 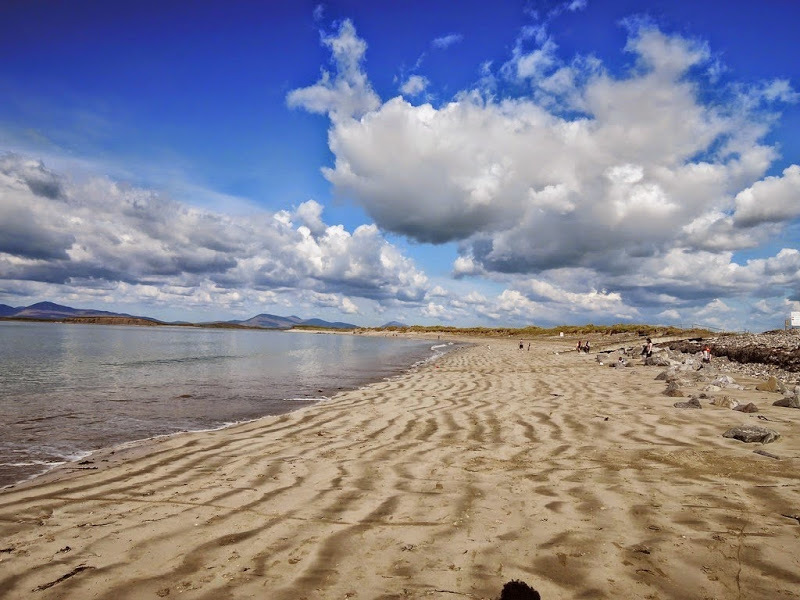 Strolling along the beach you can discover the best examples of marine and coastal habitats in Mayo. This term comes from an Irish word meaning plain or piece of level ground, used for describing a type of coastal landscape where the dunes have been eroded leaving a plain of sandy soil. Machair beaches are often found between rocky outcrops or in small bays between headlands. The upper limit of the beach is usually marked by a pebble or cobble ridge behind which there are dunes. Behind the dunes is usually a gently sloping plain whose degree of flatness is a reflection of age. The level of the machair plain is controlled by the underlying water table. Hence many machair areas are flooded during winter. A seaward escarpment marks the landward limit of the plain. Grazing has an important role in machair formation and keeps the characteristic plant community in balance. Sand dunes are formed by prevailing winds, good supply of sand and obstructions around which the sand can collect. In some places they can reach heights of 20 metres or they can just be eroded by the wind and deposited elsewhere. A rock or a flotsam thrown up by the sea are the points where the embryo dunes develop. The sand starts to pile up around these points and salt tolerant plants including Twitch and Sea Lime Grass stabilise the sand. As more sand is built up, a low dunes (1-2 metres high) can be formed. Marram Grass and Sea Lyme Grass grow strongly and now the dunes grow quickly to 10 metres in height. The wind blows sand over the crest and deposits it on the lee side until more sand is blown away then deposited. Gradually the salt content diminishes and sandy soils start to develop. Strolling on the beach with your children you can collect beautiful stones. The rocks you can find were rounded by ice and sea. In the coloured mix of boulders and stone limestone, sandstone, quartz and Donegal granite can be recognised. Many limestone (greyish stones) are pitted with holes because part of the stones has been dissolved by the weak acid rain. Other stones have fossil coral embedded within them (it looks like long parallel strips). Clew Bay commands spectacular views, it is a sort of jigsaw made of little islands. 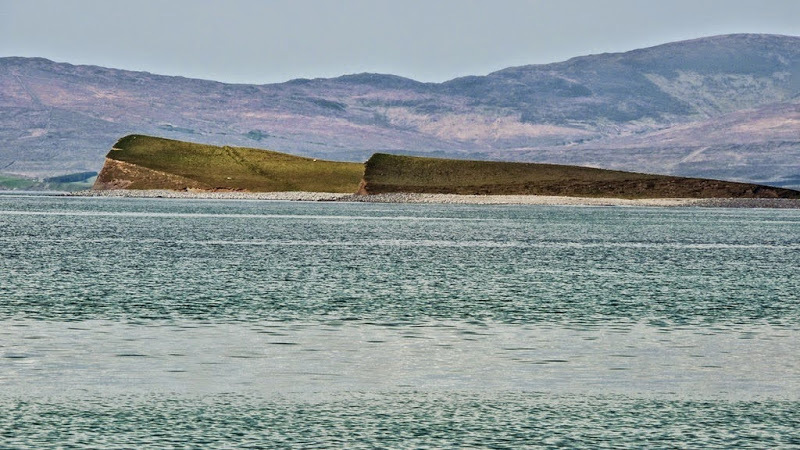 The bay has 365 islands, one for every day of the year; 117 of them are Ireland's best example of drumlin hills of limestone, which come up in all shapes: ovals, lozenges, snakes, dragons, arrowheads or long-legged beasties. Clare Island, the biggest island, guards the entrance of the bay. 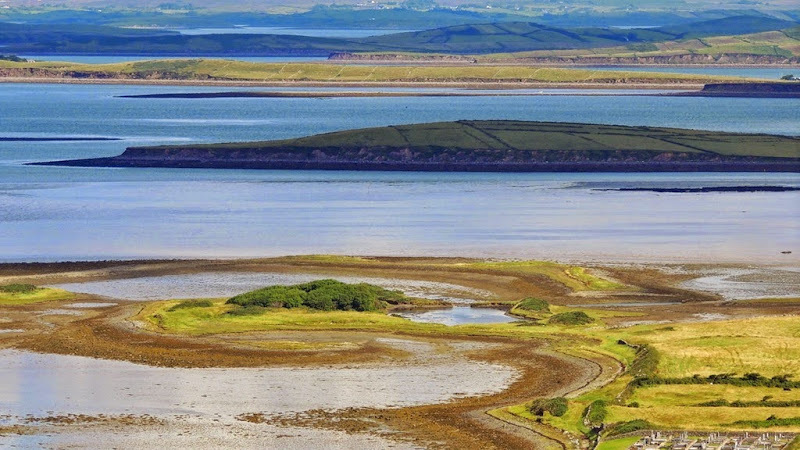 Drumlins were formed during the ice ages (10,000 plus years ago) and when the ice moved generally from north to south, it eroded rocks and soil depositing this material and forming Clew Bay.